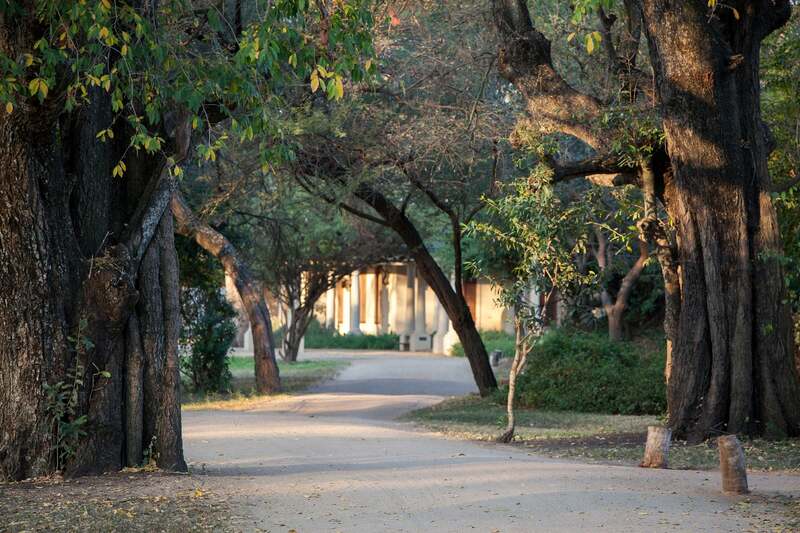 Founders’ Camp is a dreamy Bohemian-style ten-suite lodge set in a copse of matumi and leadwood trees on the banks of the Sand river. 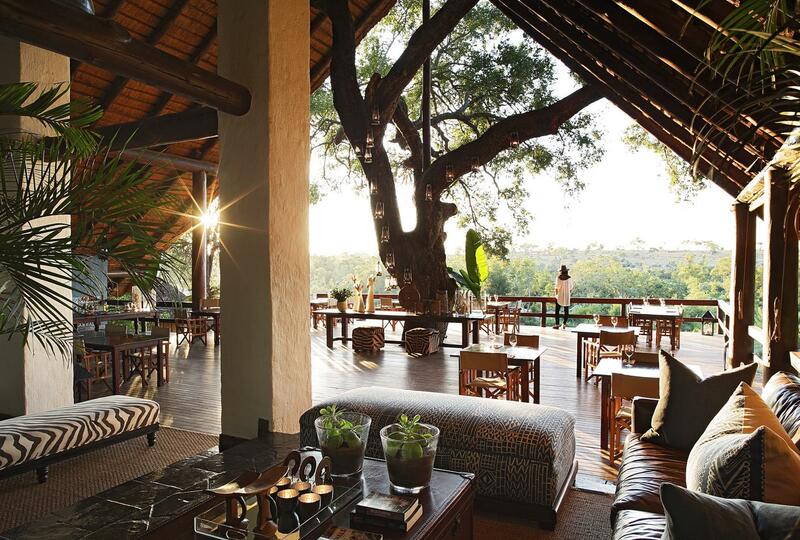 Designed to capture the spirit of decades of family history with guests who are pictured on the walls, it has the characteristic Londolozi welcome and unobtrusive impeccable service. 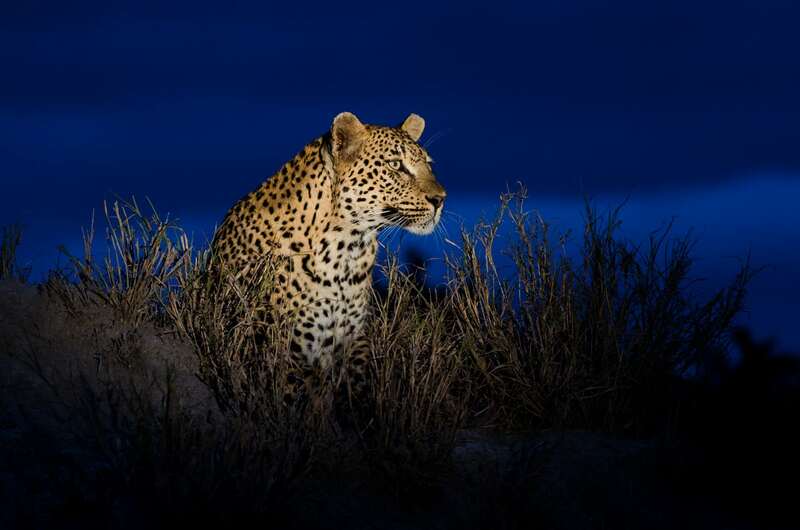 Safari activities are excellent, utilising 14,000 hectares of Big Five land, as are guides and trackers (3 of only 14 master trackers in the country are at Londolozi). 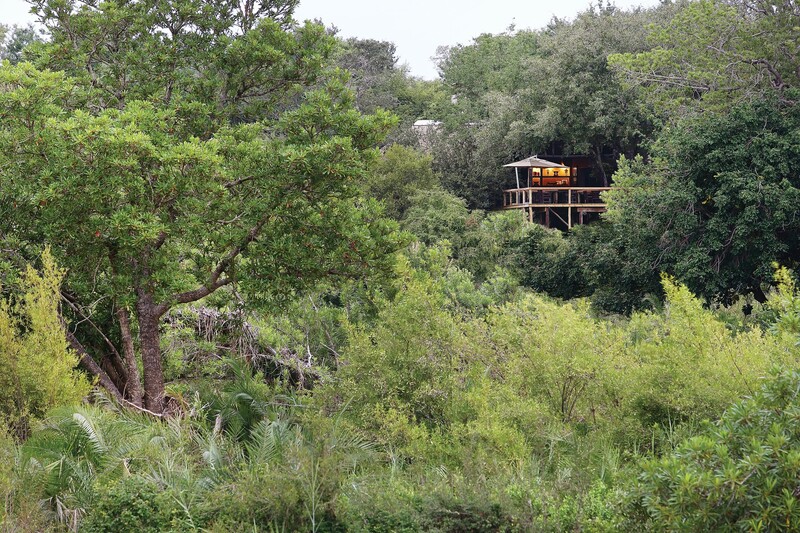 Rhino tracking is a specific activity offered here. 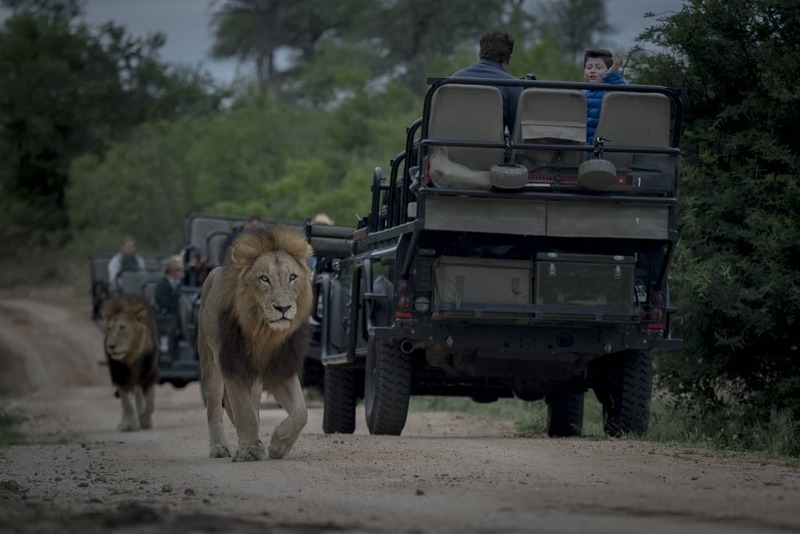 Morning and evening drives are supplemented by bush walks, rhino tracking, and adventure picnics. Catch-and-release fishing is on offer, as is clay pigeon shooting. 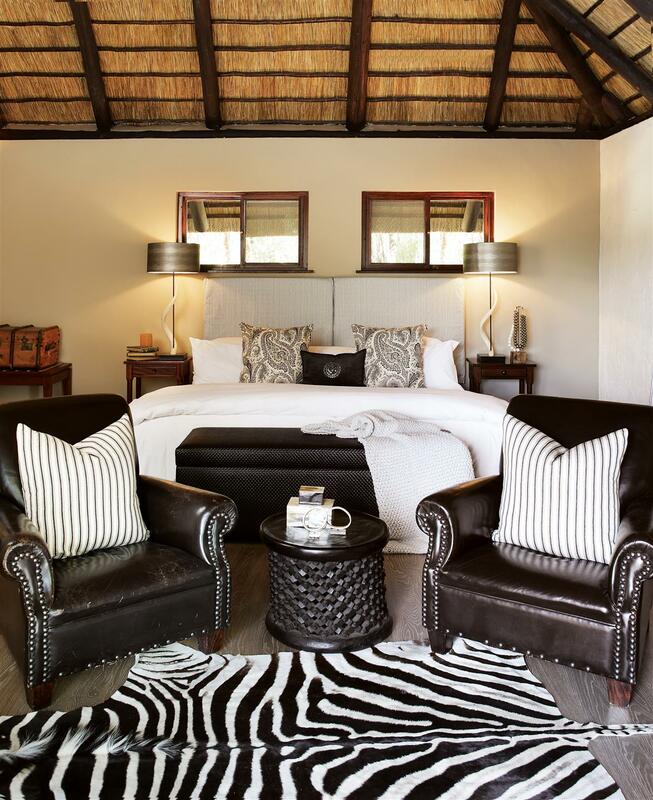 Seven superior chalets are large with mahogany beds, deep leather couches, military chests, compass safari lamps, and are furnished in black and cream ticking fabric, nature-based colours and handmade cushions. 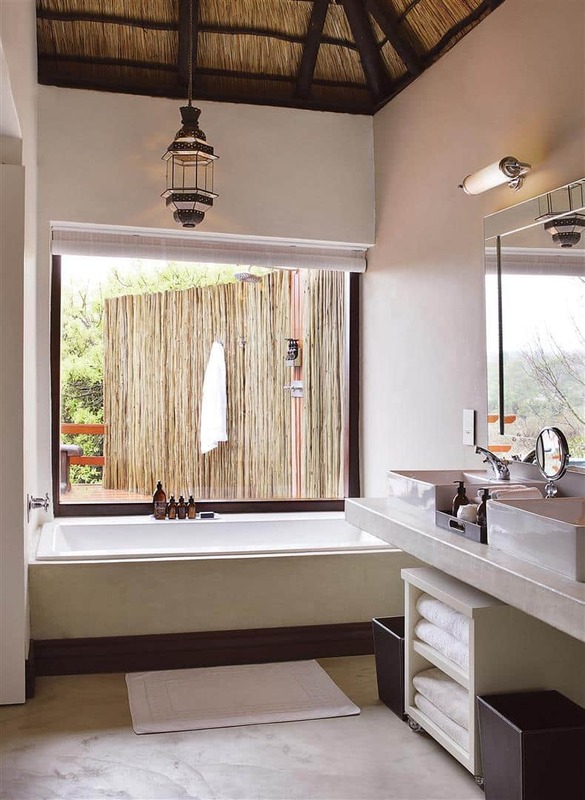 Separate en-suites have oval baths set against the window, and a couch for relaxation. There is a stone-laid outside shower. 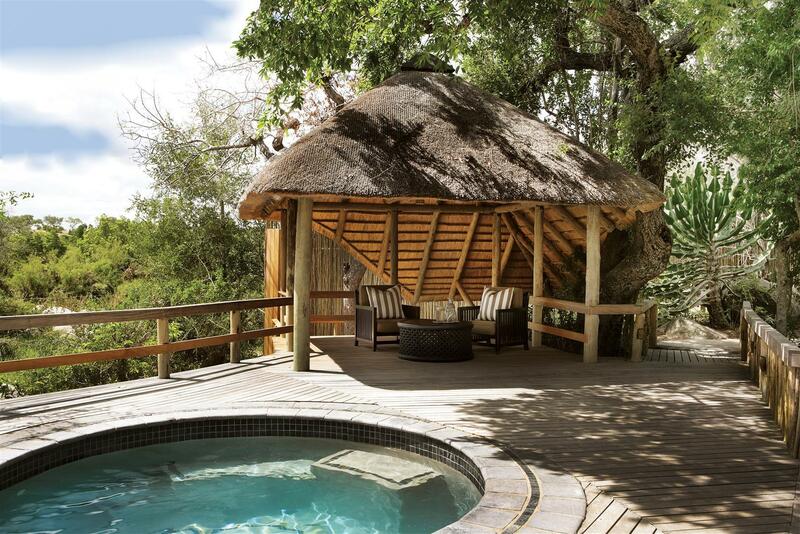 A large plunge pool sits on a private wooden deck outside, offering views over the riverbed. 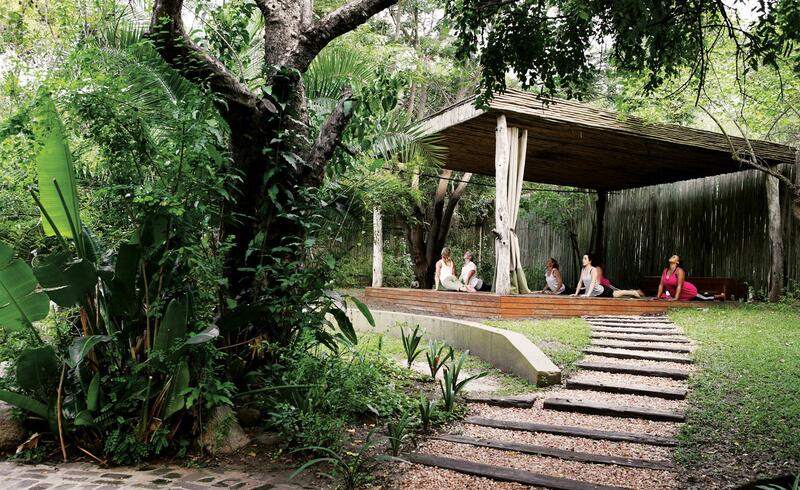 A thatched sala provides a space for contemplation. Three further chalets are enhanced for family use with more space and a convertible children’s room. 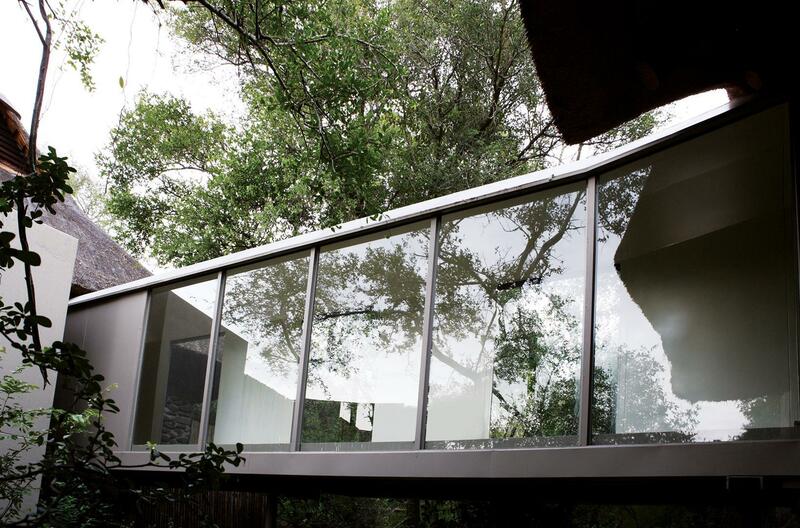 Skywalk glass-enclosed deckways are raised from the ground to connect the suites with the main area and keep kids safe. 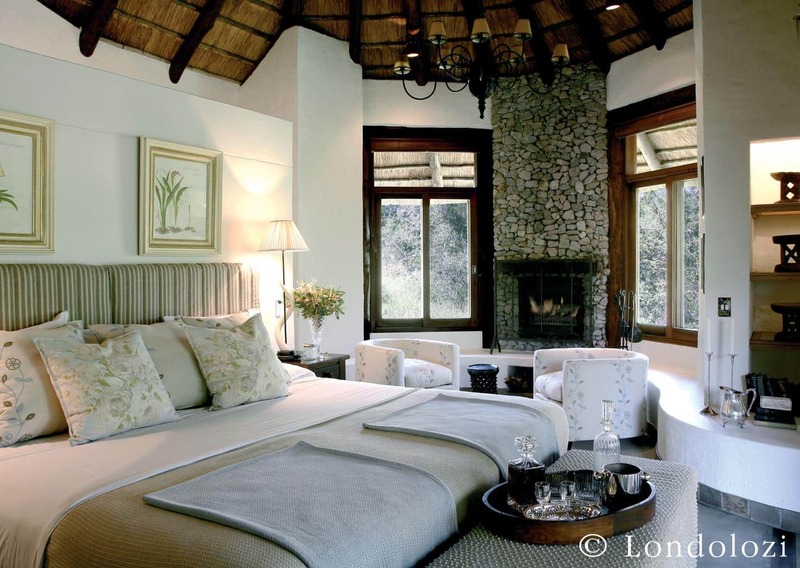 An elegantly furnished central space offers memorabilia of three generations of the Varty family and guests. 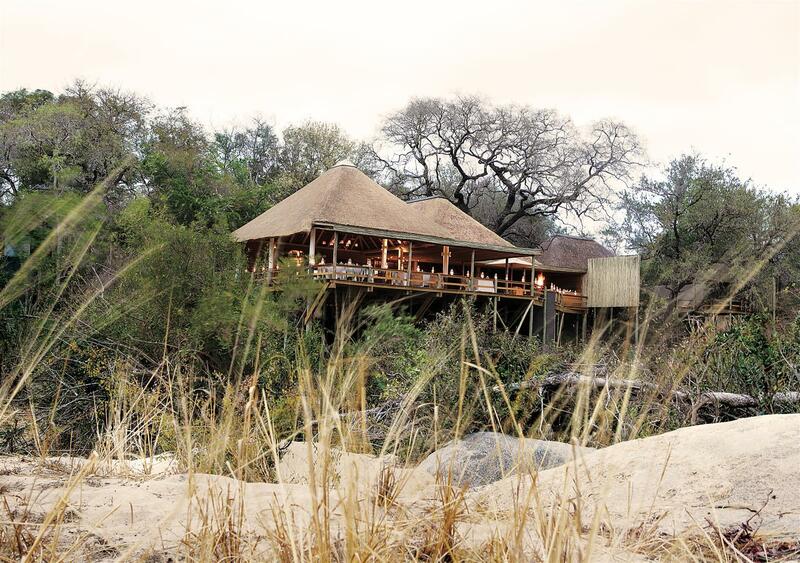 Daily yoga classes are held on a special deck whilst nyala, bushbuck and monkeys look on. 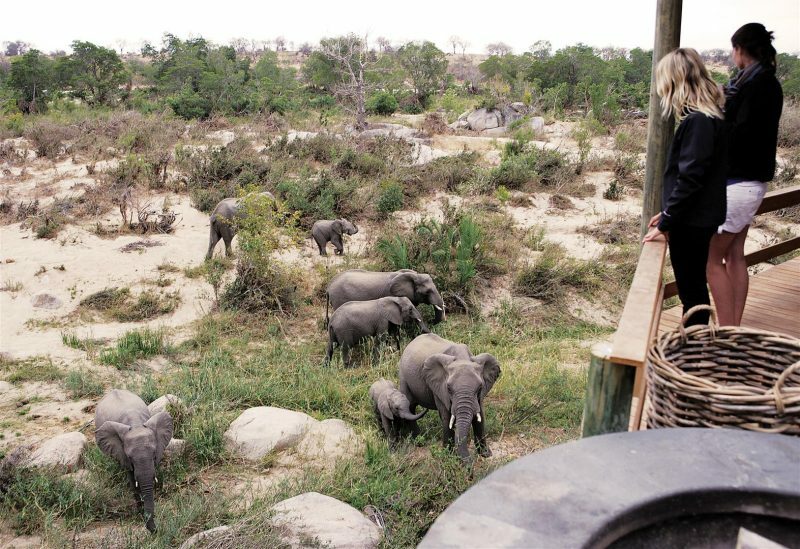 Elephants move through the riverine bushveld below. 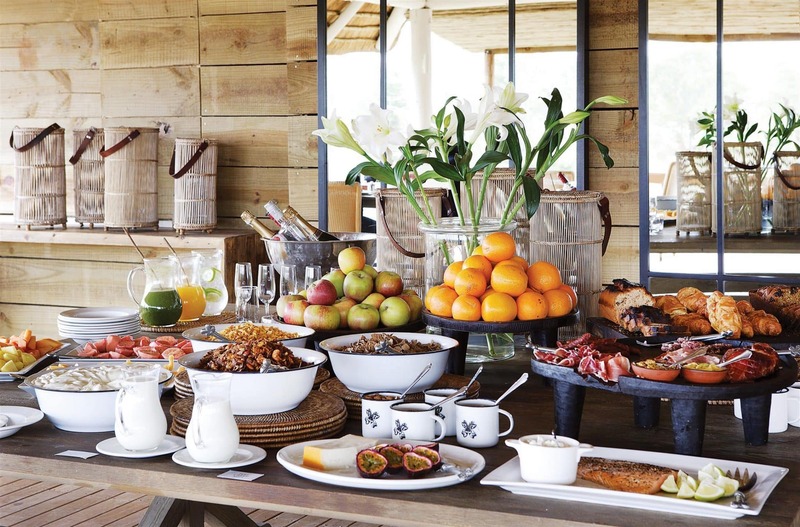 Bush breakfasts are a speciality. 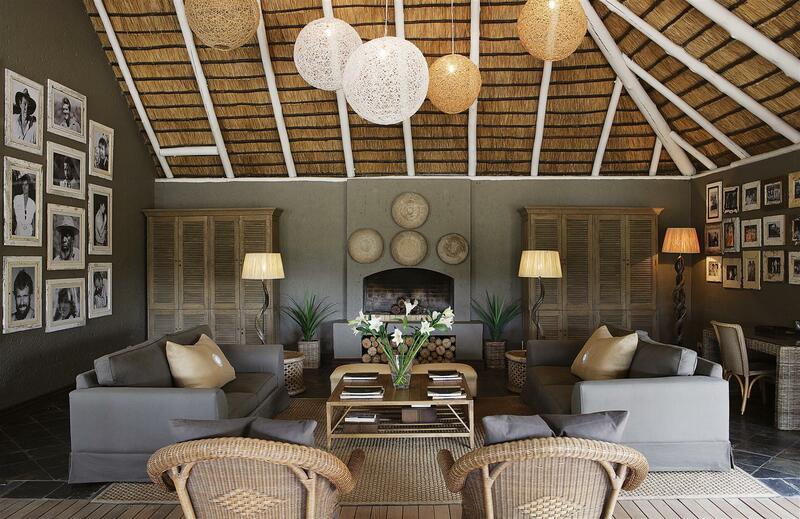 The camp’s elegant food is served in the main area, or on your suite deck, or in the boma. There is a wine selection to match.